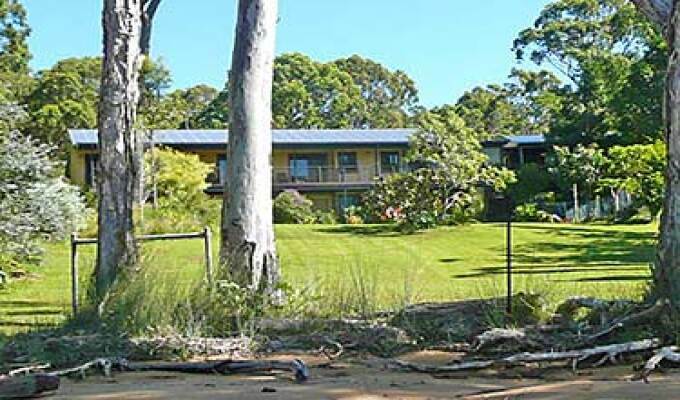 Luxury B&B on Macleay Island - beachfront - Eco Retreat perfect for a romantic getaway & relaxing escapes. Luxurious 3 bedrooms for 6 all with spa ensuites & resort facilities. 1 hours drive/fast ferry from Brisbane. Scrumptious cooked Breakfasts served on dining deck overlooking Perulpa Bay and our 12 Metre Pool. TV - DVD - Aircon - Free bikes - canoe - BBQ - fishing gear & Transfers from wharf.